The Podcasting for Communities’ podcast is part of a project that includes the podcastingfor.com blog and the Podcasting For Communities’ e-book which you can find on Amazon. 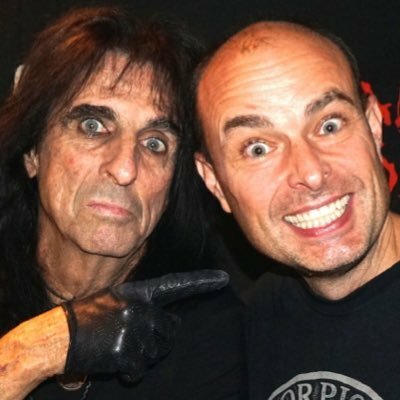 In this episode, I talk to rock journalist and podcaster Mitch Lafon. He has been writing and then podcasting about music since he was 11 years old. His podcast One on One with Mitch Lafon offers something that many music podcasts don’t. I have mentioned several times in earlier episodes that using music on podcasts can be problematic – rights, costs, permissions all can be difficult. But even though Mitch is talking to musicians – he doesn’t use music. Instead he allows his interviewees time to expand on their ideas. He also runs the full interviews, with a minimal amount of editing and tidying. If you are starting out in podcasting there are several very useful tips here including planning an interview, relationships with your interviewee and your listeners and managing your reputation. There is a lot more too. 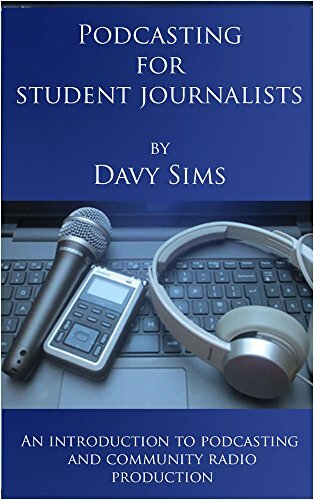 The book is for young, trainee, or student journalists not specialising in broadcast media. It is an introduction to “making content”, podcasting and broadcasting whether you want to understand production on a professional level or simply because you want to create podcasts for fun or add something useful to your CV. It is a result of experience teaching radio production to journalism BA students in Dublin. Most, but not all these pages are the module and support notes. The book is part of the “Podcasting For …” project which includes podcasts and the podcastingfor.com blog. Recording in and out of the studio, equipment (studio, microphones, recorders), using a smartphone, using a digital recorder. Podcast platforms, blog and social media, making the mp3 audio file, setting up your podcast host, registering with iTunes, Stitcher and TuneIn. Digital Promotions, using Facebook, Twitter and other social media. Using more traditional methods of promoting. Copyright. Staying within the law. 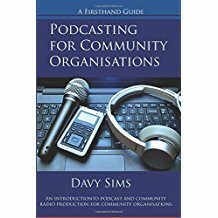 The first edition of “Podcasting for Communities” was published in September 2016. It forms the basis for this book but the name change is to make it clear that the expected audience and readership will be from community organisations. The “Podcasting For …” project includes the podcastingfor.com blog and podcast interviews with experienced radio and podcast professionals. Additional information related to this and other books in the “Podcasting For …” series is added regularly to the blog. You are encouraged to visit it and engage with the author and other readers. The book is mainly about producing audio content. It is also relevant to people producing programmes on local or community radio stations. Even if you are an individual who wants to learn and produce a solo podcast, or a couple or three friends who want to record a weekly discussion, the information here will be relevant and I hope useful to you. The emphasis is on producing audio podcasts – or as we usually call it … radio. If you are new to the concept of podcasts, or already have some radio production experience then this book is for you. The music used in the podcast is Cloudline from the Blue Dot Sessions’ Album K4. Find it on the Free Music Archive. Cloud Line by Blue Dot Sessions is licensed under a Attribution-NonCommercial License.